Public artwork created for Union Ridge Elementary School will be dedicated in a ceremony on Saturday, October 7 at 2:00 pm in Building B at the school Commons. The art dedication is just one of the many events featured as part of the City of Ridgefield’s “BirdFest & Bluegrass 2017” event scheduled for this weekend. 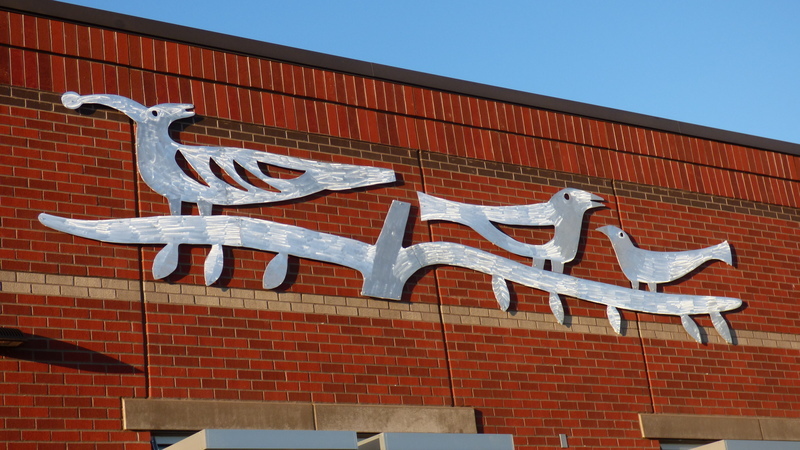 The artwork for the school was designed by Garth Edwards, a Washington artist who has created work for a number of public commissions in the past, including the Seattle Children’s Theater. A committee made up of community members, teachers and school district administrators selected Edwards to create the design for Union Ridge. 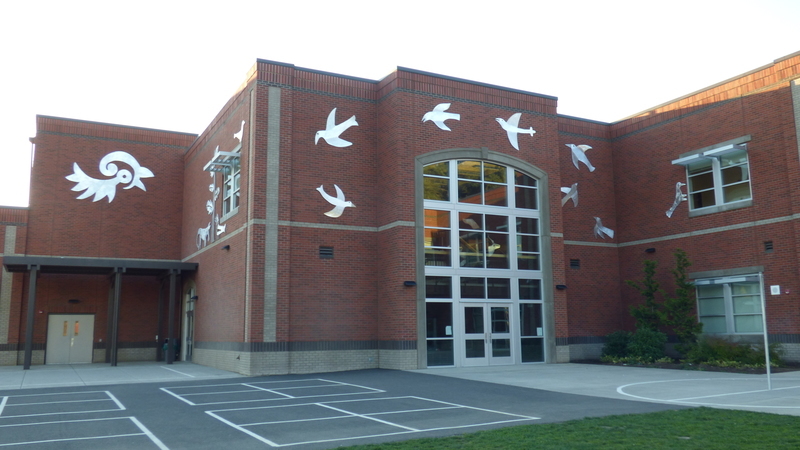 It collaborated with Edwards over the last year and a half to refine the design, and this past summer, the completed artwork was installed at the school. Funding for the art project came from “percent-for-art” funds from the state’s Art in Public Places program (AIPP) of the Washington State Arts Commission. When recent new school construction at Union Ridge Elementary and South Ridge Elementary was completed, both schools qualified to receive state funds from the arts commission to fund public artwork at their schools. Stuart Nakamura, another Washington artist, will be installing his work at South Ridge Elementary later this fall. Both artists were selected from a roster of artists maintained by the Washington State Arts Commission. Prior to Saturday’s dedication ceremony, Union Ridge will have student artwork on display starting at noon. At 1:00 pm, the Audobon Society of Portland will present a Live Bird Show featuring Julio, a great horned owl, a raven and a turkey vulture. In addition, ceramic owls created by Union Ridge students will be available for “adoption” in the school’s “Adopt an Owl” fundraiser to support their art program.